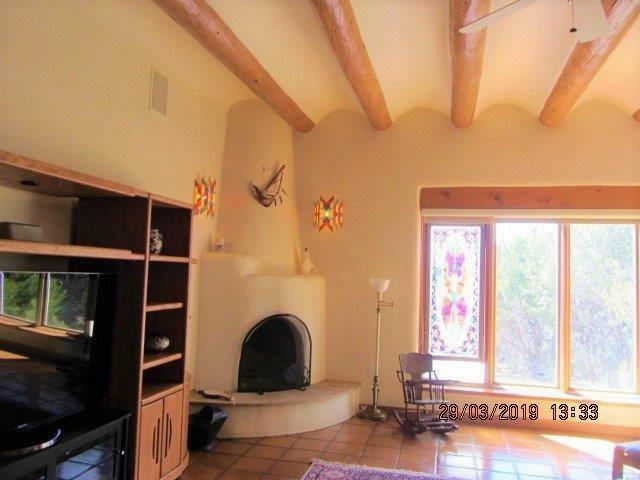 1004 Vista Encantada, Taos, NM 87571 (MLS #102966) :: Angel Fire Real Estate & Land Co.
Beautiful Canon Foothills property: Highly desirable area in Taos. 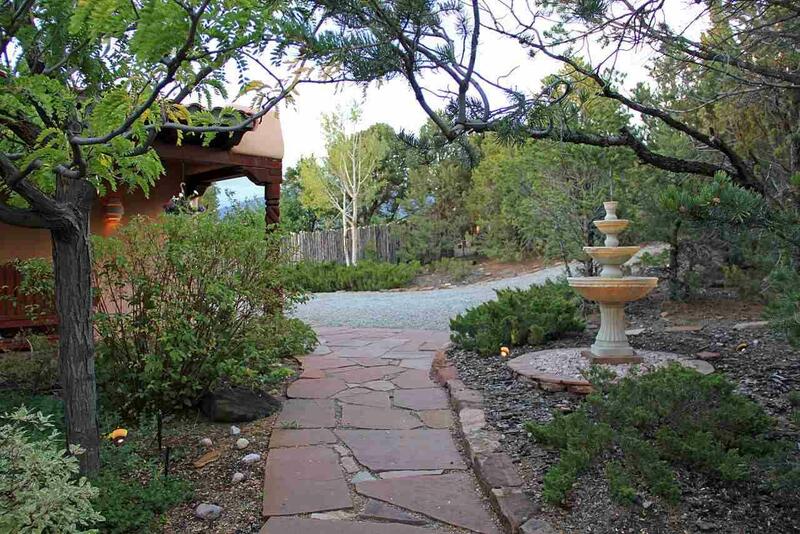 Walking distance to the Carson National Forest, conveniently located to amenities in town, and 2.4miles from the historic Taos Plaza. A short walk further up from the house leads to the national forest and hiking trails. 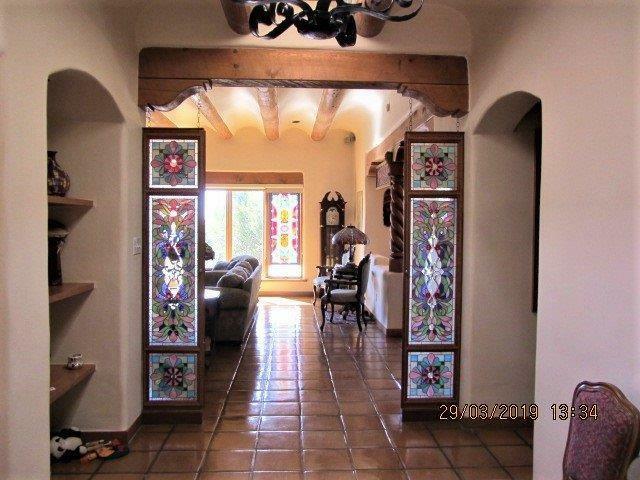 This home has been well maintained and has a large open floor plan and attached garage. Custom coved ceilings with vigas throughout as well as latilla ceilings in the kitchen and dining area. The living room has a large window with kiva fireplace, built-in bookcase and views of the City. A wonderful master bedroom suite with kiva fireplace, large bathroom, walk-in closet and laundry facility on one side and another bedroom and bath on the opposite side of the home. 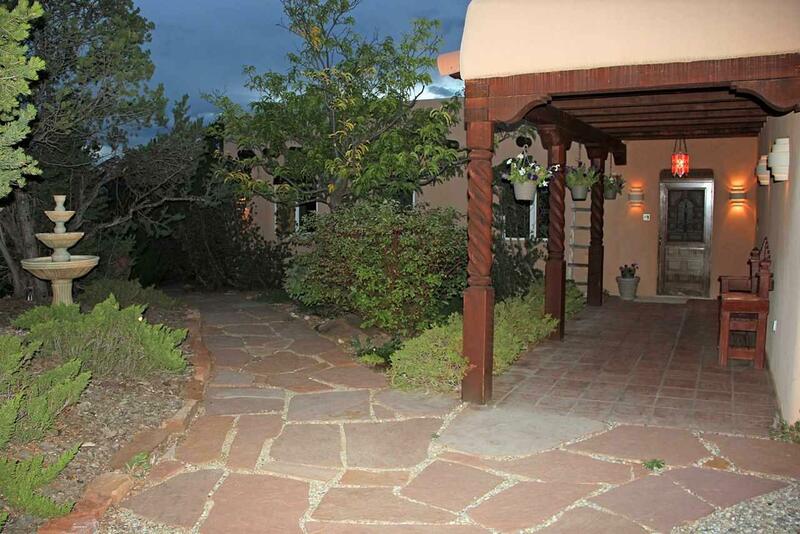 Private backyard surrounded by Pinon Trees and flagstone walkway with a hot tub. Incredible views below of the town of Taos/Rio Grande Valley. Enjoy setting outside with a margarita while watching the sunset on one of the two decks from the main house or wrap around deck from the guest house/studio. guesthouse/studio offers a kitchen, bathroom and large wrap around deck.